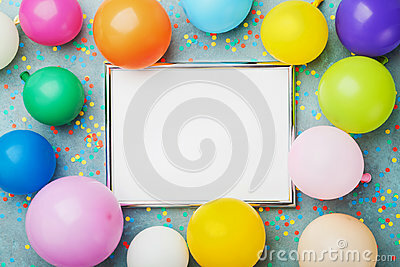 Colorful balloons, silver frame and confetti on blue background top view. Birthday or party mockup for planning. Flat lay style. Copy space for text. Festive greeting card.